Spanish and Italian politicians rushed to formulate a fresh response to the debt crisis engulfing their two countries as their borrowing costs hit new euro-era highs on Tuesday….The flurry of activity came against the backdrop of another big sell-off in markets. Yields on benchmark 10-year Spanish and Italian bonds peaked at 6.45 per cent and 6.25 per cent, respectively. 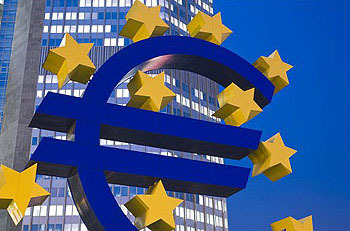 The premiums Madrid and Rome pay to borrow over Germany also reached new euro-era highs of 404 and 384 basis points. ….Analysts said it was difficult to see what could stop Spanish and Italian rates continuing to climb, particularly in light summer trading. “What can be announced to really break that? It is difficult to see,” said Laurent Fransolet, head of European fixed income research at Barclays Capital. It’s easy to say that Italy’s problems are, objectively, not that bad. Sure, their total debt is high, but their current budget is under control and their debt has a pretty long average maturity. But that hardly matters. Not only are they in trouble, but they’re in a vicious circle. Because they’re in trouble their rates are going up, and as their rates go up they’ll be in ever greater trouble. Rinse and repeat. Ditto for Spain. And both countries are far too large for financial markets to be bought off with anything less than a truly gargantuan intervention: Spain is four times the size of Greece and Italy is five times its size. But what are the odds of a gargantuan intervention? Not very good. It’s no wonder that stock markets around the world have been dropping for a week, and continued to drop even after the U.S. debt ceiling deal was announced. For reasons both good and bad, the markets were never all that worried about the debt ceiling. But they are worried about the eurozone, whose problems are far, far more complex and intractable than ours. Our problems, after all, are at least conceptually not too hard to address: cut discretionary spending a bit and let the Bush tax cuts expire in the medium term, and get serious about healthcare expenditures in the long term. And despite what tea party Republicans would like you to believe, we have plenty of taxing headroom to address healthcare funding in the future if we need it. Nothing so easy is available to Europe. They need to commit to monster bailouts in the short term, something that’s politically nearly impossible. And they need to either break up the eurozone or commit to much closer fiscal union in the medium term, something that’s equally inconceivable. And yet, it’s either that or disaster. No wonder the markets are worried.